This page contains examples of only a few of the cases which our office have completed over the past 38+ years. 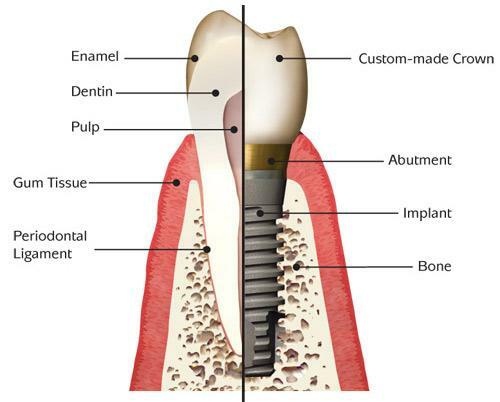 Is it true, as some TV and newspaper ads state, that implants AND teeth can be placed in one day? -We have never and never will use overseas dental laboratories. Our dental labs are here in Lake County and all of our gold allows and porcelain are made in the United States. we never use non-porcelain alloys unless one of our patients is allergic to gold. All new patients who schedule for a routine cleaning, exam and x-rays and mention this offer will receive $15.00 off of the normal charge for these services. All established patients who mention this offer will receive a 7% discount off of their existing balances for each new patient referral that has been seen by appointment at the office. 135 IL-21, Gurnee, IL 60031.